These are some comments that writers and subscribers sent to the Strand to celebrate our tenth issue. “If, like me, you happen to be one of the people who regard reading as a necessary part of life; impossible to do without and second only to eating and drinking, then in culinary terms the The Strand Magazine would certainly find a place in the Michelin Guide. “Two monks walked along a riverbank and saw a thirsty child unable to reach the water. The old monk filled his bowl and took it to the child to drink. Later the young monk asked the elder why he had done that. Had he not interfered with the child’s karma? The elder monk answered, “I gave her water because water and a thirsty child go together.” Her need was filled, and it changed her life. A half century ago, when I was ten years old and also very “thirsty”, I was given “The Book of Sherlock Holmes”. I immersed myself in it, drank up every word, and was changed forever. On the fiftieth anniversary of discovering those wonderful mysteries, I was thrilled to find “The Strand Magazine”, whose namesake published Sir Arthur’s Sherlock Holmes stories. Disraeli called it “The first street in Europe” and Charles Dickens wrote “The Strand is a great thoroughfare still and the connecting link between the City and the West. There is somehow an air of greater lightness and gaiety than is apparent in the City”. So it was appropriate that the leading magazine of Victorian and Edwardian times should take its name from so evocative a street. No greater compliment can be paid to you and your team than to say that you have revived the lightness and the gaiety of that publishing legend. Congratulations on reaching your tenth issue. For new and original short detective stories, for first rate criticism of the contemporary mystery fiction scene, and for insightful essays on the history of the genre, The Strand has no equal. No, The Strand has no competitor! It was unique in it’s original formulation, when wide-eyed readers followed those sensational first cases of Sherlock Holmes. It is unique today, as the detective story continues it’s ceaseless growth and development for the entertainment of new audiences. Mystery lovers without The Strand are like news junkies without the Internet– they’re deprived, and there’s nothing more to be said about it. 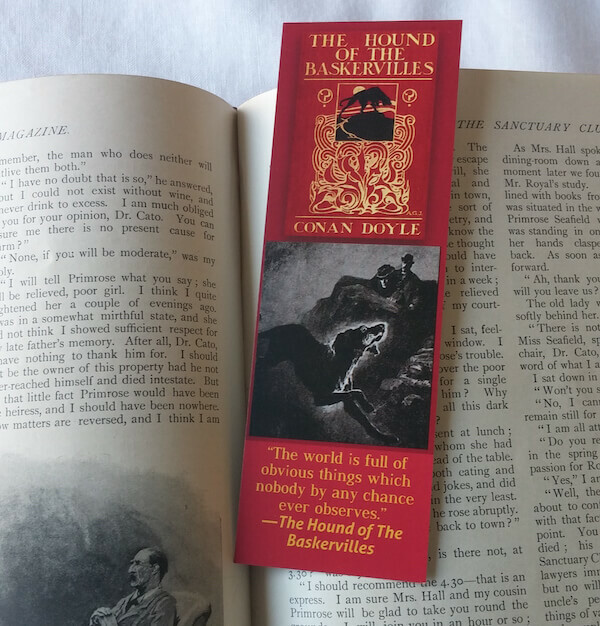 In the 1890s when The Strand published the Sherlock Holmes stories, it electrified readers and gave the edge to deductive detection. How wonderful that a century later, when short story publication is at something of a low ebb (at least as collected in book form), The Strand Magazine under its able–dare I say visionary–editor Andrew Gulli is a major force on the contemporary crime scene. Its roster of authors contributing original fiction and articles is remarkable, its Sherlockian section a must. All this and a beautiful glossy production, and nifty sidelines like coffee/tea mugs, make me hope that its 10th issue celebration will lead on to many more landmark anniversaries. We recommend it to all our customers. Congratulations. “My first exposure to The Strand Magazine came as a university student studying Victorian history and literature. When studying the early issues of the magazine, I always regretted that it went out of publication. Therefore you can imagine my astonishment and joy when I received The Strand Magazine (holiday issue #9) for Christmas 2002! The new “Strand” magazine shares similarities with the original, for instance double column printing, illustrated stories written by good modern day authors, and profiles of famous people from literature and theatre. But the new Strand Magazine, by publishing detective and mystery short stories written by a wide range of authors, exposes the reader to perhaps a new writer’s work, thus perking his/her interest. For example, the interview with Michael Bond (issue 2) and his Pamplemousse story (issue 3) introduced me to his hilarious detective. And, as an history major, I am not a fan of fictional detectives based on real life historical people. But, after reading the interview with Peter Lovesey (issue 7), I’m curious to read his crime series featuring sleuth, Albert Edward, Prince of Wales. A special mention must be made regarding the interview and article sections of The Strand Magazine. I have found the interviews to be insightful and the articles to be well researched and thought provoking. I’ve enjoyed following “The Great Detective” series but if I had to pick just one outstanding article, it would be Mike Ashley’s “The Ghosts of Christmas Past”(issue 9). His understanding of the scope of the 19th and 20th Century ghost story genre is truly superb. “The Strand Magazine” is everything a mystery reading aficionado could desire: informative editorials; enlightening interviews with authors and actors; in depth articles on all facets of the genre: films, authors, fictional characters and author’s works; and clever Sherlockian pastiches as well as other short fiction to satisfy any mystery lover’s thirst for reading entertainment. Any editor who can keep such a first rate ensemble of contributors and provide new Rumpole stories on a regular basis, deserves an editing “Edgar”. I intend to ensure that “The Strand” always find its way to my door.